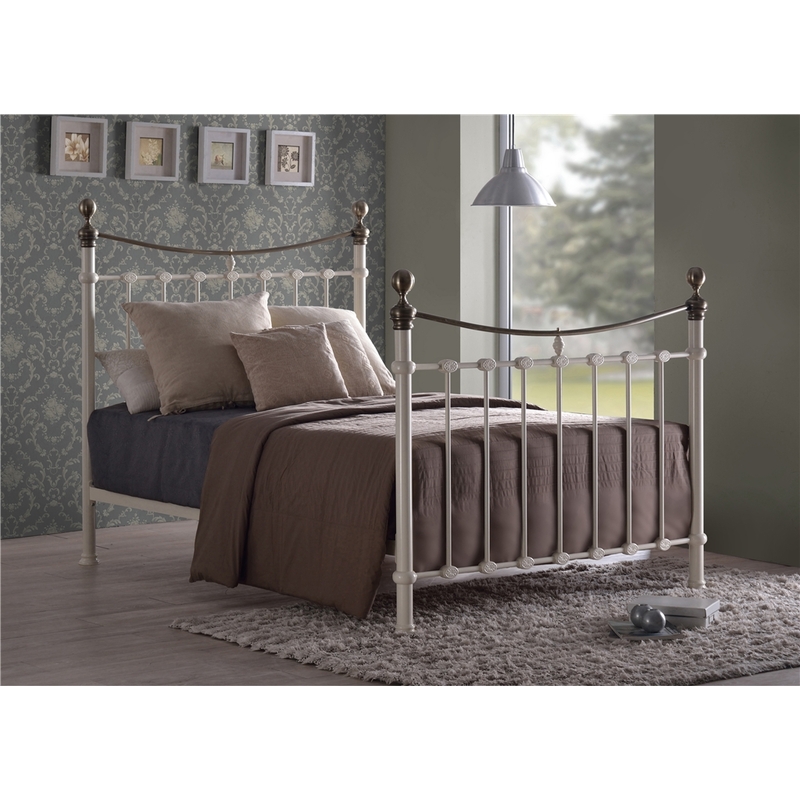 The Elizabeth bed frame has classic styling and the design is capped off with a brushed nickel antique brass style finials and curved top bar to the head and footends. It will add style and elegance to any bedroom settings. It has a sprung slatted base for increased comfort and extended mattress life. It is also available in Black and in King Size.